Autism Spectrum Disorders represent a side spectrum of differences in behaviors and abilities of children. Communication is typically one of the areas that are affected in many children who are diagnosed with Autism. Research shows that children with an Autism Spectrum Disorder tend to learn better from other children than from adults. This means that peer tutoring and socialization groups may provide some of the most effective communication and learning interventions for children affected by Autism. Interaction with peers who have strong social and communication skills is an excellent way to promote those skills in the child with an Autism Spectrum Disorder. Academic skills are also boosted by peer interaction. Peers include classmates, friends, neighbors, and other children who are relatively close in age to your child. Peer tutoring is a research based strategy that pairs children together in learning pairs or small groups to promote learning and skill development. Children with an Autism Spectrum Disorder learn social skills, how to invite friends to play, and even how to get along with others just by watching peers with strong skills. The implications are tremendous: First, children with Autism must spend a significant amount of time in the general school population in order to be able to observe and interact with peers who are more socially and academically competent. The implications for academic learning are even more astonishing. Children with Autism learn better when they are taught or mentored by other children who have stronger academic skills. While the benefits of this peer tutoring arrangement seem obvious for the child with an Autism Spectrum Disorder, the arrangement benefits all children. 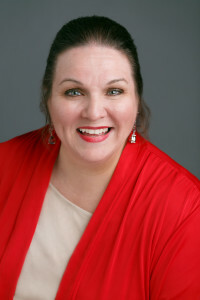 The stronger student who leads the academic and social interactions tends to develop leadership skills, have an opportunity to bond and make friends with classmates who may have previously been primarily in Special Education classrooms, and enjoy a sense of accomplishment from helping another student thrive. Research shows that children with Autism Spectrum Disorders do not look at the same things as children who do not have the disorder. Promoting healthy social interactions with peers will give children the opportunity to notice social cues, facial expressions, and vocal cues about emotion and intent. Over time, children who lacked strong social skills may develop new capacities as they get to observe and practice what they see in their peers with good social skills. As children with Autism develop greater skills and capacities in the area of Socialization and Communication, their ability to interact successfully with classmates and teachers will most likely improve. Socialization skills for children with Autism can be supplemented with specialized interventions that teach what to focus on and how to maintain focus on the right things. Mindfulness is a powerful tool that can teach children how to pay attention to the facial expressions of others. A child with an Autism Spectrum Disorder may not typically bother to look into the faces of classmates to see if they are happy or sad. Teaching mindfulness can help the student remember to look into the faces of friends to check on their mood. 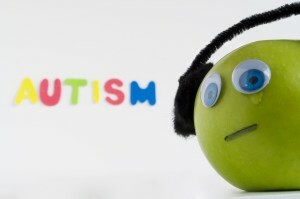 This technique is an example of many efficient and effective strategies to help children with Autism to overcome limitations typically associated with the condition. A variety of challenges can be addressed through socialization programs and peer mentoring. Child behavior problems may improve as children with Autism observe the more appropriate behavior of peers. School work may become a little easier as children who struggle get to observe a classmate who handles school work without any stress. 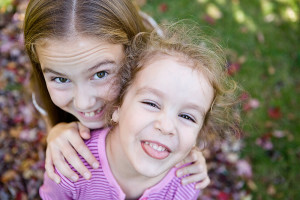 Even emotional problems may improve as children begin to make friends and enjoy connections with peers. Classroom placement in the school is a critical issue for children diagnosed with an Autism Spectrum Disorder. The general education classroom typically offers the richest exposure to children with age appropriate social and academic skills. The mainstream classroom can be very noise, busy, and demanding, however, and cause confusion and frustration for students with Autism. Placement in a smaller group that allows for a smaller teacher to student ratio and specialized supportive services can provide unique benefits to children with Autism. The two options must be carefully weighed, and the best solution may involve a blended placement in which the child enjoys part of the day in the general or mainstream classroom and the rest of the day in a smaller Special or Exceptional Needs classroom. Parent who have questions about the best placement options for their their child with Autism are recommended to speak with an administrator in the Special or Exceptional Student Department of the school district. Inclusion is a relatively new strategy that promotes the placement of all children in the general classroom for at least a portion of the day in order to offer the benefits of socialization and peer leadership. Children with significant emotional and behavioral problems or who require specialized services for a challenging physical disability may not be able to take advantage of inclusion placement. Parents have the right to ask questions, understand the motivation behind whatever placement is offered in their child’s IEP (Individual Education Plan), and even refuse special placement. In many cases, the school is required to honor the choices of the parent to leave their child in the general education classroom setting.